Beauty: Say YES to your dreams, You have greatness within YOU! Say YES to your dreams, You have greatness within YOU! I knew that there was more to life than my 9 to 5 job. In the Oriflame business opportunity I was a ray of home. I could see that I can achieve my goals and dreams in Oriflame. After I became a Senior Manager I quit my job as I was earning more than my salary. Over the years I bought my flat, many car and travels to many countries with Oriflame money. If I can do it, anyone can do it. You just need proper guidance. And I am willing to guide if you are ambitions, hardworking and eager to learn from me. When you join Oriflame with us we will be teaching you, step by step, how to dig the gold out of Oriflame in ways that nobody else can teach you. You just have to show your thrust for knowledge. Subscribe to Oriflame YouTube channel, ask questions to me, keep in touch on daily basis, share your activities and results and get more tips from me. Sp you'll get FREE mentoring by me plus tons of other great learning and bonuses simply for joining my team and being part of my Oriflame Facebook Group. 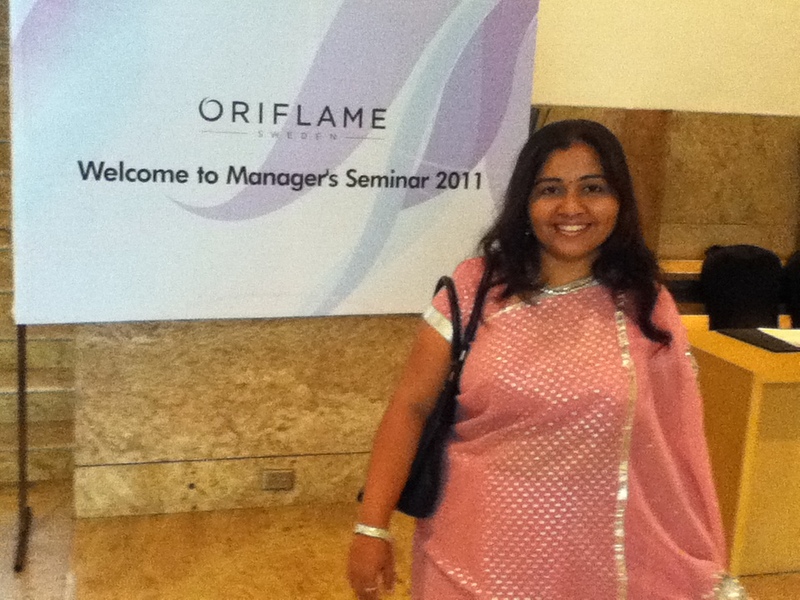 Oriflame is going to be the biggest network marketing company in India, period. You won't find any other MLM like this in India... especially with such a powerful coaching system. Grab this opportunity... Trust me when I tell you that you WANT to have this Oriflame business for your bright future. The return on investment is going to be HUGE, not only for immediate results over the next few weeks and months. Let's rock with Oriflame together!